Uña de Gato, Uncaria tomentosa, or Cat’s Claw is among the most amazing and powerful plants on this planet. Since I first encountered this jungle vine several years ago, it has remained by my side as one of my most trusted and respected guides on the path of health, clarity, energy and immunity. Known also as the Opener of the Way — Cat’s Claw is Jaguar, Panther, Puma, Cougar. It’s one of the Big Cats. King of the Jungle. Uña de Gato is a force. 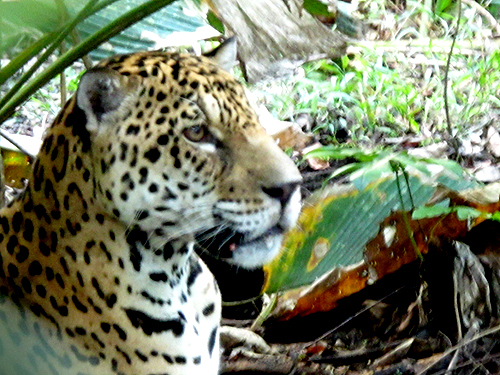 Further, Uña de Gato is graceful – it prowls, leaps, and moves through the branches of one’s body with ethereal ease and dexterity. It stalks, hunts and pounces on illness and dis-ease as though such things were helpless, unfortunate rodents — devouring, transforming and eliminating them. Amongst plants, Uña de Gato is an assassin, an angel, and simply one of the best spirits one could endeavour to befriend. Cat’s Claw is well known for it’s beneficial effects upon the whole of the human body and spirit, capable of powerfully cleansing, healing, strengthening and tonifying numerous functions of the human body. It is exceptionally beneficial for the digestive system, especially the stomach and intestines. Hippocrates — considered the father of modern medicine — stated; “All disease begins in the gut.” Cat’s Claw is supremely adept at hunting down and healing gastrointestinal imbalance and discord. In its cat-like manner it pounces, powerfully, effortlessly, it has you and rips through — wastes no time and gets to work; clawing, cleaning, clearing, repairing. As the plant cleanses these systems on a physical level, it strengthens on a spiritual level one’s intuition, enhances one’s “gut feeling” — offering clarity to one’s life and path. Hence; “the opener of the way”, a name given to the plant by Dr. Brent W Davis, for its ability to cleanse the entire intestinal tract. Further, this perspective is also connected to the plant’s reputation as “bodyguard”. Cat’s Claw “opens the way” because it strengthens the immune system so well, protects to such a degree, it seems nothing harmful gets near you. Related to Cat’s Claw’s ability to cleanse the intestines — the gut; “where all disease begins” — it’s immunity boosting capabilities are linked to its powerful anti-inflammatory actions. Again, and from another perspective — that of Chinese herbalism — we see Uña de Gato acting on “the precursor of all disease”; inflammation. The classical signs of acute inflammation are pain, heat, redness, swelling, and loss of function. Cat’s Claw is excellent at eliminating these things, opening blockages and promoting flow, form and function. It is well regarded traditionally and clinically for treating inflammatory conditions like arthritis, bursitis and rheumatism. In healthier situations where these conditions are not present, Cat’s Claw, in my experience, works very well in keeping the muscoskeletal system –bones, muscles, cartilage, tendons, ligaments, joints, connective tissue — supple, strong, active and ready. By various names; paraguayo, samento, toroñ, tambor huasca, uña huasca, uña de gavilan, this plant has seen traditional use primarily in Peru, by the Asháninka, Cashibo, Conibo and Shipibo. Uncaria tomentosa is extremely well documented, and has in a sense reinforced its own immunity with the benefits of nearly half a century of ongoing scientific research published in peer-reviewed journals. Early encounters between Klaus Keplinger, (a pioneer in the study and promotion of cat’s claw) and an Asháninkan shaman in 1959, led to the revealing and unravelling of novel oxindole alkaloids, in the early 1970s. In 2011 researchers described oxindoles as “Legendary magic bullets in Bio-medicinal Chemistry”. Oxindoles exhibit an extensive range of biological effects which include the antiviral, antifungal, antibacterial, antiproliferative, anticancer, anti-inflammatory, antihypertensive and the anticonvulsant activities. Personally and experientially I have long felt that the Uña de Gato vine bestows similar benefits to the human body as the Ayahuasca vine. In other words — and speaking non-specifically as U. tomentosa and B. Caapi are botanically and chemically different — Cat’s Claw does for the body what Ayahuasca does for the body. As of this writing I’ve worked with Ayahuasca for nearly 10 years. 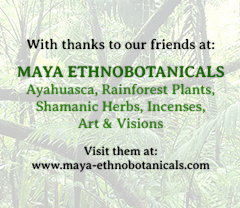 The first nine months of which were dedicated to working exclusively with the Ayahuasca vine alone — without addition of add-mixture plants like Chacruna (Psychotria viridis) or Chaliponga (Diplopterys cabrerana). It was in this time-frame, this dieta, that I came to know and directly experience the expedience with which Ayahuasca can restore physical health. It is comprehensive and astounding in this capacity. This experience and work with Ayahuasca formed points of reference for my work and relationship with Cat’s Claw. As I began (and continued) to drink it, I observed similar effects, which, over time were fortified, expanded and enhanced. 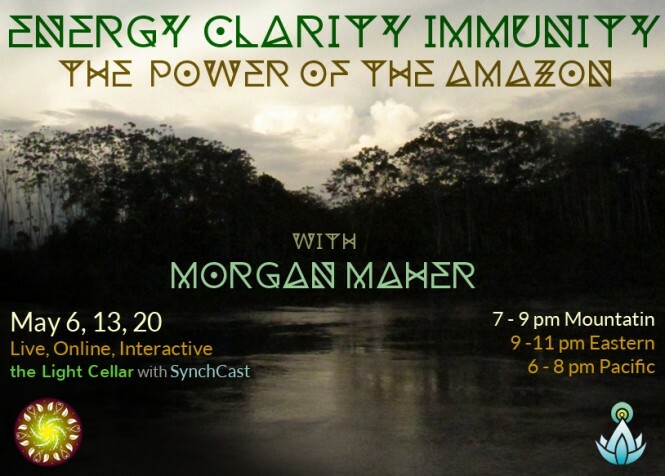 Cat’s Claw is not psychoactive or visionary in the way Ayahuasca is — it simply makes one feel good, clear, sturdy, and at ease. Cat’s Claw, like Ayahuasca, encourages greater and greater degrees of physical and spiritual strength, balance and harmony. However, unlike Ayahuasca, which is neither advised, encouraged, necessary or desirable to consume on a regular basis, Uña de Gato is. 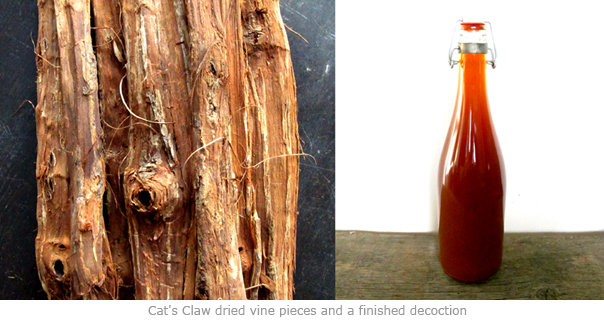 Readily available, one can purchase sustainably harvested, fairly traded Cat’s Claw vine, brew it at home, drink it respectfully — without necessarily engaging ceremony or ritual — and go about one’s days with cat-like prowess and power. by Brent W. Davis, D.C. Collected Papers of the International College of Applied Kinesiology – Summer 1992. Powered by the most bio-diverse place on the planet — we’ll branch and connect various healing traditions; exploring the Chinese/Taoist principles of Jing, Qi, Shen in the context of Amazonian shamanism, and the ways plants offer holistic visions of health, tremendous rejuvenation and renaissance of body, mind and spirit. I read your article and thought it was excellent. In you say cat’s claw is easy to get,is it legal. If so how could I find it.